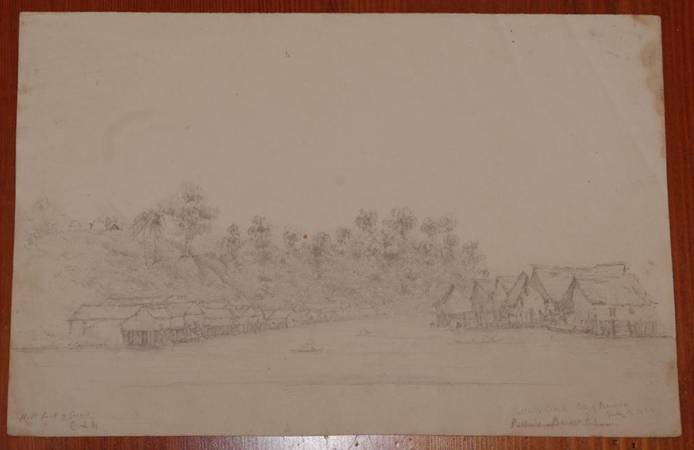 I have a pencil sketch, see attached, by a Captain Charles Newland, of ‘Sultan’s Creek City of Borneo. July 12 1846’. It is about 34.5 x 23cm. It claims on the back that Captain Charles Newland (CFN) was on a hydrographic circumnavigation between 1836 and 1845. It has been in my hands for some years, Does anyone have any information about this drawing?